My friends and I went to the last day of BroadwayCon this year, like we did last year. 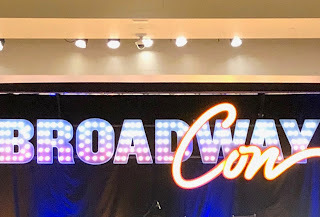 The convention ran from Friday to Sunday, though we only did the Sunday (mostly because that's when the First Look Broadway show previews were). And this year, it can be considered "research" for my latest writing project! One of the vital elements for me to develop characters and develop conflict in a story are the relationships between the characters. Romance is all about the relationships between people--and character relationships seem to be the common thread between the stuff I like to read. 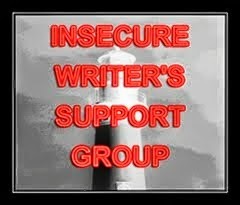 Usually, an author has more than one character to play with. There are protagonists, antagonists, secondary characters, and walk-on characters. As they interact throughout the story in various ways, their interactions form scenes, sequences, chapters, conflict and resolution--particularly in romance, which is all about how the main characters interact, process each other, come together and fall away, then finally come together for that Happily Ever After. Okay. I have a rather unabashed reading habit when it comes to devouring romance novels. Y'all have seen me blog on the topic plenty of times. You've seen romance on my Goodreads reading challenge year after year, particularly historical romance. You may even know that once upon a time, I tried to write romances--first with the original idea of the Keegan series, then again last year with another incarnation of the same story world. The slowness and lack of progress with that last project convinced me to put away that story world for good. Also, it convinced me that--at least temporarily--historicals aren't cutting it for my creative bug right now.